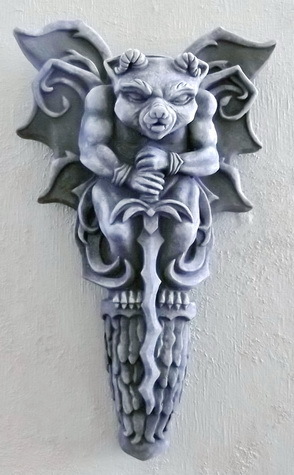 Gargoyle Sconce – "Fine sculpture for every environment"
Don’t wake the sleeping gargoyle, he’s got a sword and he’s not afraid to use it! This popular sconce is the cornerstone of Gothic ambiance. A set of black candles and some burgundy curtains and your Bela Lugosi!